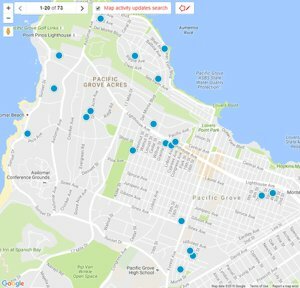 Search all Pacific Grove Short Sales for sale throughout the town of Pacific Grove on one easy to use website. This Page shows every single Pacific Grove Short Sale for sale in Pacific Grove, CA 93950. If there are no properties shown, there are currently no short sales in Pacific Grove. Contact us if you would like to be placed on a list to be notified of any upcoming short sales.